But before long, performers begin disappearing and bodies are found. Mara realizes that there’s a sinister presence lurking in the town with its sights set on getting rid of the sideshow freeks. In order to unravel the truth before the attacker kills everyone Mara holds dear, she has seven days to take control of a power she didn’t know she was capable of―one that could change her future forever. 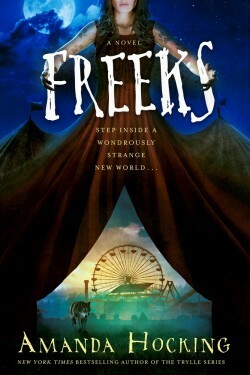 For more info on my newest standalone novel, please check out this announcement about Freeks.